Its never too late to cross something off your bucket list. Our flying lessons will give you the opportunity to take control of the joystick with the help of an experienced flying instructor. 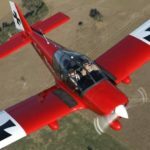 Enjoy the magical views of Sydney, Melbourne and other locations around Australia as you learn to fly a helicopter, an airplane or spinning around in aerobatic plane. Impress all of your friends with this fantastic experience.